Air travel used to be a lot less complicated a few years ago. With all the security measures that people have to go through (not even counting the delays and others issue that may popup at airports), the last thing you want to worry about is missing your flight. 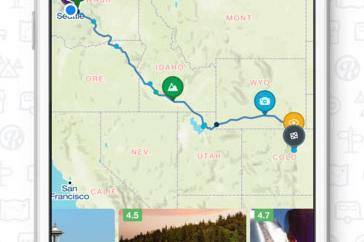 FlightBoard is an exciting iPhone application that can help you avoid that. 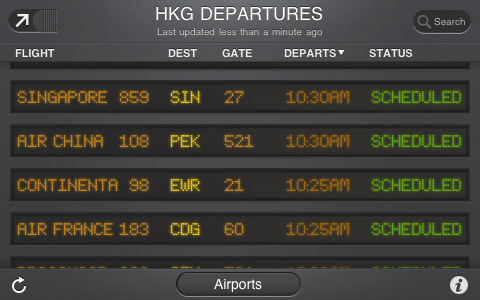 It turns your iPhone into a live departures and arrivals board, saving you time and effort in the process. The app has a pretty attractive interface. The board’s design is quite good looking. 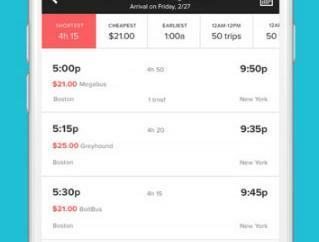 You won’t need a magnifier to keep up with flights on your iPhone. It covers 4000 airports and 1400 airlines around the globe. The information your board is updated on a consistent basis. 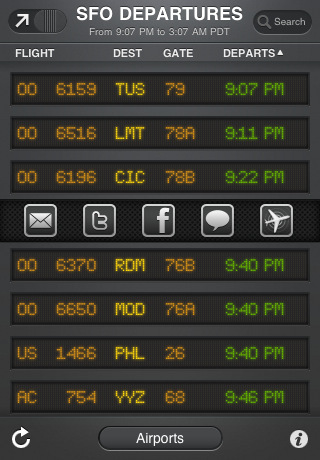 It’s certainly nice to have the ability to check the real-time status of any flight while waiting at an airport. 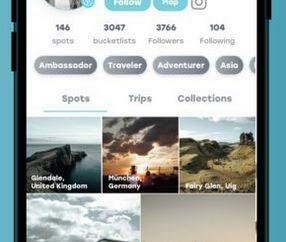 The search feature narrows down your results and helps you track your flights more effectively. Not interested in the departures board in front of you? Just switch to arrivals board. Your board information can be sent to your friend and colleagues which is good to see. FlightBoard is a must have for air warriors. It can save you time and headaches at your airport. It has a beautiful interface and does what it promises.